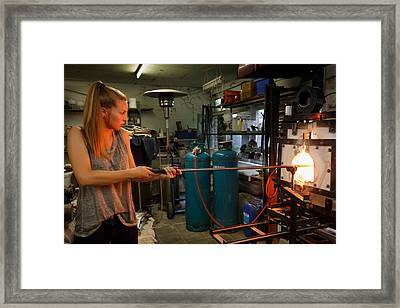 Hot Work is a photograph by Paul Indigo which was uploaded on November 30th, 2014. 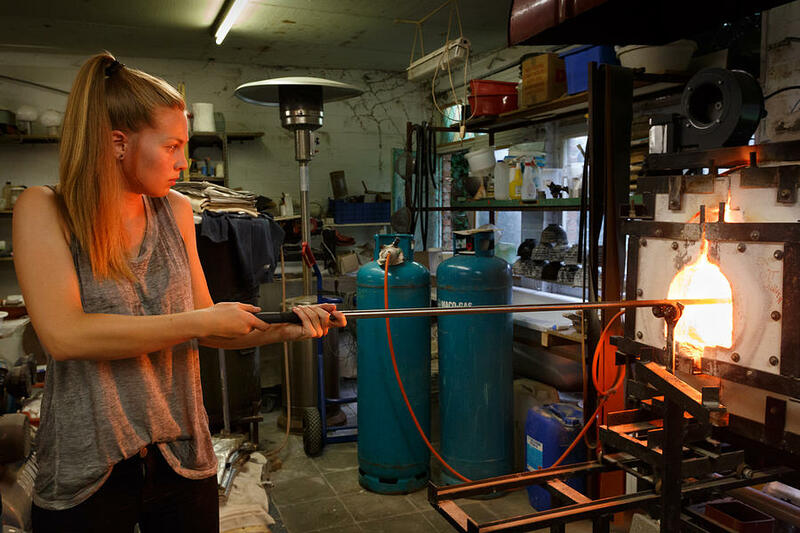 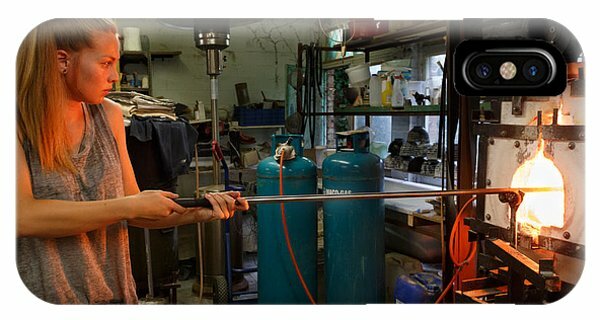 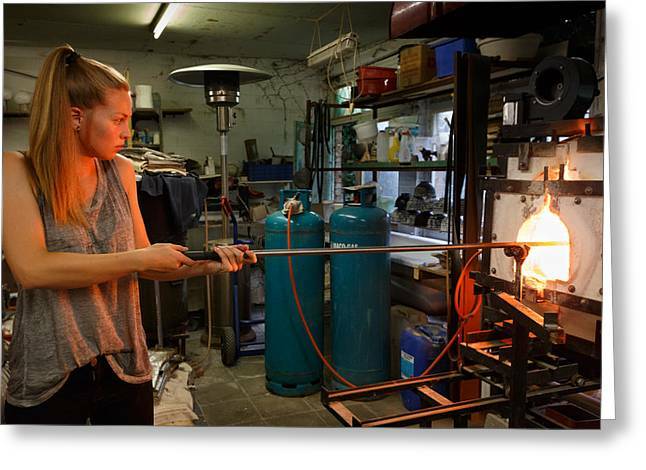 Glassblower Anneleen concentrates as she heats her glass in the furnace. 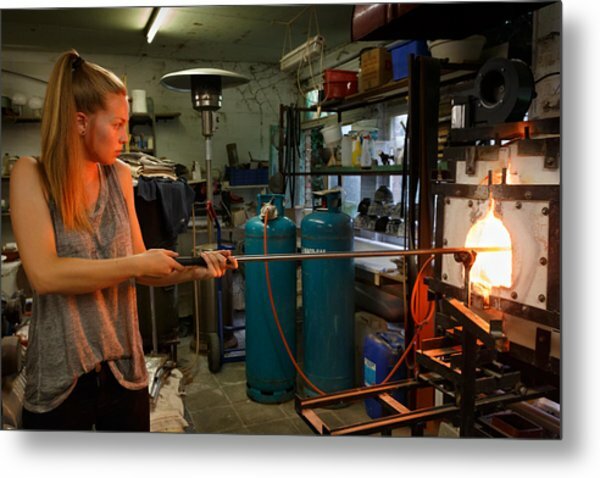 Temperatures in the studio can reach 35-40 degrees Celsius. 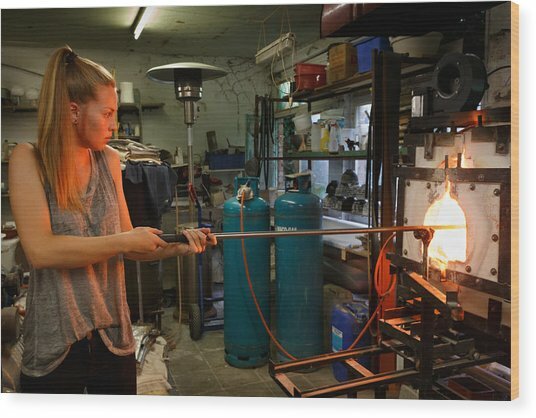 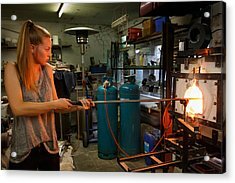 The transformation of raw materials into glass takes place at around 1,320 °C when the glass emits enough heat to appear almost white hot.